The kiddo is very excited about our upcoming trip to Minneapolis. 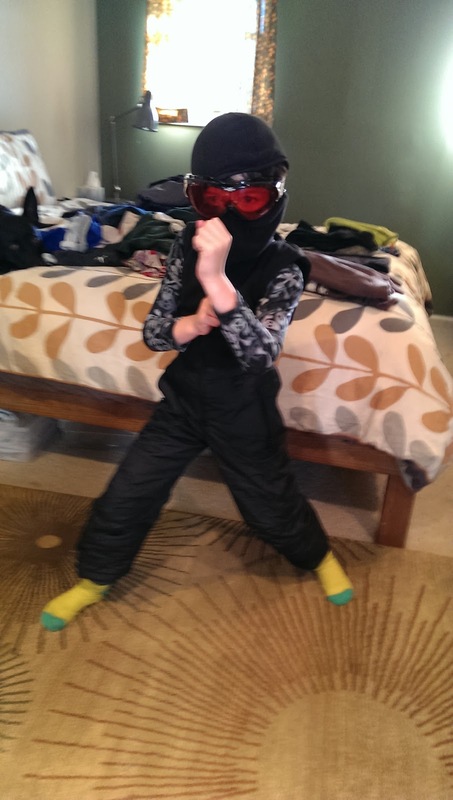 He thinks the snow suits are great for playing ninja, which they are. Hopefully they'll also be great for keeping us alive in 0 degree weather. Christmas was a blast. With just the tree of us around, we were able to create some new traditions, like dim sum and a movie. I hope everyone enjoyed their holidays and that you continue to enjoy your winter breaks and such. Let's make this next week the best last week of 2013 ever!